Yep, all week I have reviews and giveaways planned to celebrate Valentine’s Day. So, for those of you who get my blog posts emailed, I’m sorry. This’ll be a heavy email week, but I won’t send emails every day for the rest of your life. I promise! As my apology, and to make it a little less painful, I’ll have the giveaways for you! They introduced our new secretary that evening. I don’t know if I caught her name in all the laughing and teasing because I spied something that told me I’d liked her already. “Plum Paper?” (I talk about my love for Plum Paper Designs planners and notebooks HERE and HERE). Kindred spirits all in the love of good planners and luscious paper. Anne Shirley never had it so good. She was working on contemporary romance, and something told me, just by the way she talked about it, that it’d be good. I couldn’t wait to follow her journey. We didn’t have her for long. Illness kept her at home. I prayed for healing. Tragedy struck. I prayed for a miracle. Grief struck. I wept with her as she wept. I don’t think she knew it. And it didn’t matter that she didn’t. A change came in the things I saw on social media, but I couldn’t put my finger on them. I just kept praying. Have you ever seen something and thought, “God’s doing something here,” but you had no clue what it was? Yeah. That. Then the news came. She had a book contract. For non-fiction! 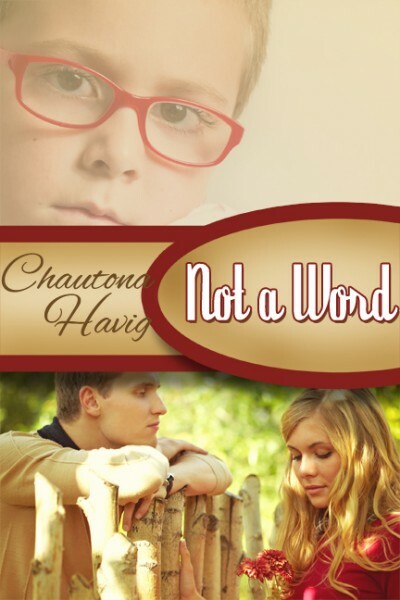 My anxiousness for her contemporary romance shifted to an eagerness to see what she’d write. She offered me a review copy, and I agreed. Of course, I did. The book? Bless Your Husband. My first impression was that of being impressed. It’s not just because the design team used my favorite color scheme or because I really love that the title is an imperative sentence (although both are awesome!). Trying to quantify a reaction to a non-fiction cover isn’t easy, but it boils down to that it feels like Angela to me. With a book so personal to her and her journey, that only makes sense. The box with the book, some promotional cards, and a delicious-looking cookie arrived while I was out of state. I didn’t know. I found it in my room weeks later when the cookie would have cured pneumonia, but wasn’t going to cross my lips. Since the launch date had passed, I had a choice. Read now & post or save it for a special time when it would shine. I chose the latter. Yep. Married in November, wedding in February. Everyone has two anniversaries, right? Ahem. Everything a woman was to do was silly, inane, childish. Even worse, the ideas were designed to manipulate your husband into doing what you wanted. Disrespectful at best. Would this book be like that? Angela Mills writes in a casual, engaging style. Anyone who has ever spoken to her will feel her personality come across the page. In fact, several times it felt like she was just sitting there encouraging me personally. Full of personal anecdotes, most of which will make you laugh, this book leads you on an easily-achievable journey to remind you to put that man you promised to make first in your human relationships… well, first. Designed as a “challenge,” rather than a book to extrapolate lofty ideas from, Bless Your Husband has weekly and then daily goals and ideas to get your mind thinking in terms of remembering the little things and allowing them to build up into something big and beautiful. Look, I live in the desert. I know what a sprinkling of rain does to our parched ground. If you’ve never seen it, you might not imagine, but that first raindrop hits and bounces off the soil. The second one does the same. Third… fifth… Fiftieth. It’s why we have “flash floods.” When the rains begin, the water can’t soak in, so it tries to roll “down.” Wherever “down” is. Usually, a “wash” that will eventually intersect with a road and sweep unsuspecting cars away. Desert dwellers know. 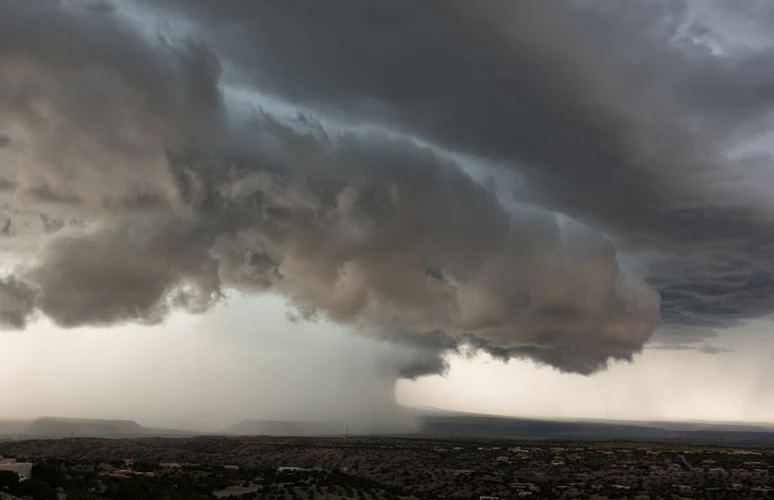 If the heavens open and the rains descend… watch out! However, when the rains come… and come… and eventually penetrate that hard, crusty surface of the ground, the latter rains will soak in. They can. It’s almost the opposite of say, an Iowa cornfield. Relationships can be that way, too. If you sprinkle efforts into the crusty soil of a heart, sometimes those efforts bounce off and make no difference in the soil of that heart. However, if you keep at it… let those efforts go unappreciated and valued… keep going… something magical happens. This is the beauty of Angela Mills’ approach. She doesn’t just give you twelve-steps to proving your love. She gives you an easily-applied set of ideas to show steady, consistent appreciation for the man we’re supposed to love more than any other man in our lives. So often strangers get more consideration than him. Why is that? 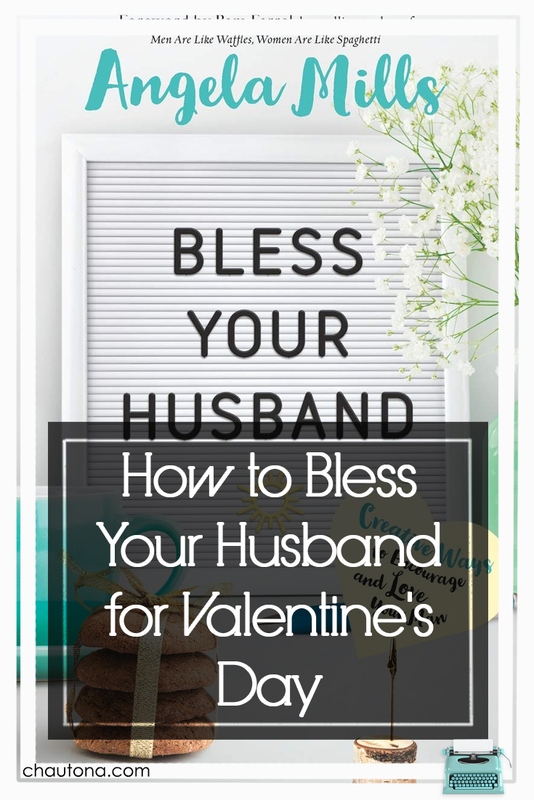 In Bless Your Husband, Angela Mills becomes that older, Titus 2 woman, teaching us to show love to our husbands through small, non-intimidating, actionable steps. Once I realized that I dove into the book with gusto. And off I went. The first week looked like it would be a breeze. Uh oh. Um… we don’t have one of those. Still, the next two fit. I breathed easy again. After all, one lack of “our song” shouldn’t derail a whole process, right? I can hear the questions. “Why would not having a song be that detrimental to a simple challenge? Just skip it!” Well, there was also a list of things… and in that list, it recommended recreating our first date. Um… we never had one. The challenges went on to recommend things like praising him, serving him like Jesus, and how you behave on social media. I should confess here that I did become concerned that it would be like that book from all those years ago. So, I went and reread part of the introduction. The part that reminded us that this book is about us blessing our husbands because it’s right. Not because we want to manipulate him into being who he isn’t or because we want to “get something out of it.” I recommend anytime a reader starts seeing these challenges as a “to do” list rather than “to love” ideas, she just goes back and rereads that intro. I’ve read a lot of marriage books over the years. I’ve loved ones others hated and hated ones others loved. Generally, people get their noses out of whack when a book says to do something because it’s right and not to focus on whether the other party is doing what is right. Anytime a book becomes about how my husband should be treating me (and is written to me as a wife), I run. Sorry, but the last thing I need is someone planting seeds of discontent in my mind. I have the world’s greatest husband, but, as Ms. Mills shows in comical anecdotes of her more “bratty” moments, those seeds germinate and sprout in a blink. No thank you. But when a book, such as this one, focuses on my responsibility to my husband and leaves his responsibilities to me to someone writing for him, I know I’ve got something that is going to bless us both. Angela Mills shows care and concern for our fragile hearts while still calling us to do what is good to our husbands. She doesn’t pull the punches, but she does often dress them up with flaming red hair, trademarked lipstick, and wacky antics a la Lucy Ricardo. I love her for that. If you’re looking for an overnight fix to years of neglecting your relationship with your husband, this book isn’t it. Furthermore, if you’re looking for an in-depth study on marriage that will dig deep into your psyche and unearth all the problems that keep it from being heaven on earth, this isn’t the book for you. But if you just want to know that you’re doing something, if you just need confidence that you’re making an effort because you know it’s the right thing to do… More than that, if you feel like taking on a big project would smother you right now, this book might just be the thing you’re looking for. Because, you see, with these simple little daily challenges of encouraging him to take time to spend with his friends, praying for him, or wearing something you know he likes… they seem so silly outside the context of all the rest (okay, praying doesn’t). However, piled, one on top of the other, they do something beautiful not only to your marriage, watering it until your relationship is saturated with attention, but they do something to you. They reform your character, soften your heart, and even build your faith. This is why implementing the ideas in this book is such a great Valentine’s gift. Because by doing something that requires the investment of four to six weeks (that’s a month to a month and a half!! ), you make that gift something heartfelt and sincere rather than feeling like a “token” of a holiday. In a sense, this book is how to demonstrate 1 Corinthians 13 love for our husbands in the practical, ordinary everyday. 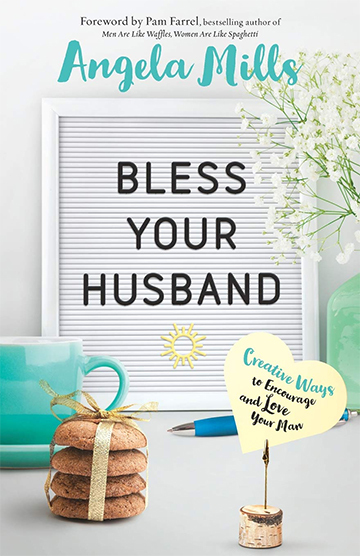 If you’d like to win a copy of Bless Your Husband, just leave a comment below and let us know the one thing that you like to do to bless YOUR husband or that you think you might like to or once did. Chautona, thank you so much for this! I can’t believe I am just now seeing it! This absolutely made my day, thank you for your kind words. I remember meeting you and bonding over the Plum Paper planner, too. I still use one! There are so many little things you can do to make your husband’s life a little easier. We have our 60th anniversary coming up this summer. One example I remember, I was at an office birthday lunch at a restaurant that had a bakery. I bought some oatmeal cookies and came back to the table. Someone asked if I had bought a snack and I said, no, they were for my husband as that is his favorite cookie. One of the young women said she would never think to do anything like that. Maybe that is one of the reasons we have been married so long. I want to do things that make him happy. I need to remember to pray for my husband EVERY day. I feel stupid, but do you know how rarely I pray for him without a specific need to do so? How pathetic of me! One of the things I do, is to go to bed at the same time he does and try not to sabotage his getting to bed at a decent time. Be on time! That’s what blesses my man the most…and it’s one that definitely takes effort on my part?????? Make his lunch. I don’t always do it, but when I do I know his morning goes much smoother. I have the best husband on Earth. He allowed me to stay home and raise our sons. We have been married almost 42 years. He is the most important “earthly” person in my life. We believe that “showing” speaks louder than “saying”. Sometimes it’s letting me lay my head on his shoulder and take a nap. Sometimes it’s us shooting bows and arrows together because that’s what he likes to do. Thanks for all you do. Your writing blessed my heart. I’m very interested in reading this, especially after the teaching we had at our annual Couple’s Retreat this past weekend. I run errands for my husband — pick up his medicines, take the car to be serviced, stuff like that. I could definitely do more. This sounds very interesting! We just celebrated 20 years of marriage and I’d love to use these ideas to bless my husband. He works hard and took care everything when I couldn’t due to health issues. I think it would add freshness to our relationship! Thanks for the opportunity, Chautona! I am making my Italian hubby pasta for Valentine’s Day. Lasagna actually.. He is excited. I think he wants dinner guests. We’ll be there at… six? Shall I bring bread? I but his favorite ice cream! I’m not married but I would love to win this book for my Mom. She would love it! I like to cook him something when he’s too tired. He usually does all the cooking, even though I’m capable and reasonably good at it. Some nights he’s just too tired, so I’ll rustle something up instead of resorting to just grabbing something fast and easy. Ahem. Talk about conviction. EEEP! Very sweet. This book sounds so good! 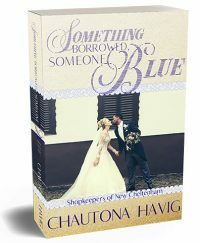 I would love to win a copy (and review on my blog, too)! 😉 My husband has a rotating weekly schedule at work, and Mondays and Tuesdays are the days he’s on his feet most. One thing that blesses him is when I give him a back rub or shoulder rub without him having to ask. Aw… so sweet of you. That probably blesses him so much! My husband hates keeping track of expenses and paying the bills, so I took over that task when we got married. While I know practical applications of love are important (necessary) in a marriage, I also know my husband didn’t marry me to secure my accounting skills until death parts us. This book sounds like it could offer some interesting, emotionally meaningful ways for me to honor and cherish him. Living in central Pennsylvania and winter, when we get snow while my husband is at work, I’ll go out and get at least the end of our driveway and his posting space in our driveway cleaned up so he isn’t driving on and packing down the snow! He so appreciates when I do that and I don’t mind at all! Oops…..parking space not posting space…lol!!! What a lovely idea! Friends like you are blessings! Arranging the pillows on the bed/ couches. Oh my gosh, I got married in November and had my wedding in February too! We lived on opposite coasts. We were already planning the wedding for February, but didnt want to be apart any longer. The whole relationship had been long distance. We met online in an AOL chatroom. I flew out east to where he was and we got married by the justice of the peace. I flew back home, packed up a uhaul and my dad drove me from WA to VA. We flew back to WA in February to have our wedding with family. This November will be our 22nd anniversary. These verses were part of my bible reading this morning. Our 37th anniversary is on Feb 14th and our youngest just moved into his dorm. As brand new empty nesters, we are looking toward our future and I look forward to reading this book and making sure he knows that he is my #1 man. My husband has told me that it blesses him when I make his breakfast and lunch for him. So that it what I joyfully -most days -do for him. 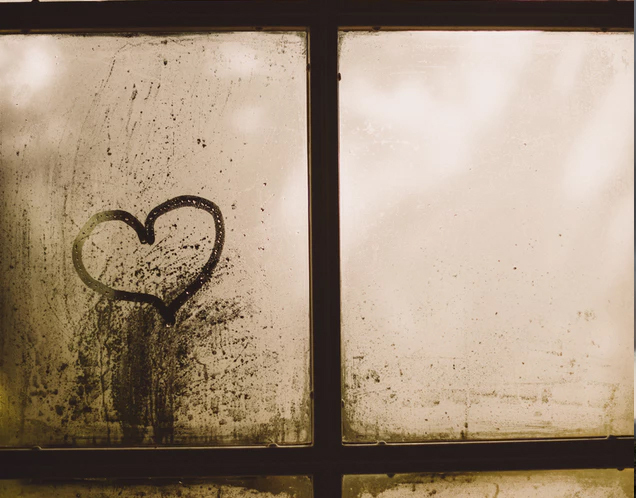 I tell my husband I’m praying for him…and then I do. Because it always blesses my heart when he says to me “Praying for you today.” 🙂 And I try to say “thank you” and really mean it. Not because it’s polite, but because my heart is full of gratitude for all that he does. And in order to do that, I work on keeping my thinking right…not inwardly criticizing him or being disdainful toward him. But instead, thinking warm and happy thoughts while thanking God that I’m the one blessed with him for the rest of our lives. I pray for my husband. That sounds trite but a few years ago I discovered that while i prayed for others and things they were struggling with, I didn’t pray that often for my husband. I didn’t pray for God to work in his heart and in my responses to him. Does that sound like more than one “thing” ? Ah, but it is all bound together. I love him . I need to show him that I do. Winning this giveaway would be awesome. Thanks for the opportunity. My husband has taken care of me through decades of sickness, medical treatment, cancer, chronic illness. I’d love help on how to make him my priority & help him feel appreciated. I tell him thank you; but, can rarely do the things I think I should to serve him. I would love to read this book! My husband recently started a new job that has him working long hard hours and he could use some extra attention. I want our marriage to still be a priority.